There’s really no other way to say it: ¡Viva España! With events that ranged from a foot-stomping flamenco showcase to a dinner that highlighted the country’s cuisine, the Spain Semester was a success, according to Dr. Chad Stebbins, director of the Institute for International Studies. “The audience turnout has been greater for the Spain Semester than the majority of the other themed semesters,” he said. A record number of faculty members contributed to the slate of programming this year, said Stebbins. Offerings included a talk on living as a foreigner in Cordoba, Spain, by communications lecturer Kisa Clark, an etching demonstration by art professor Burt Bucher, and a presentation by Dr. Bill Kumbier on Pablo Casals, renowned cellist and peacemaker. Lectures were also offered by three members of the Spanish language faculty. Dr. Rubén Galve Rivera focused on “De-stereotyping Spain” in a lecture of the same title, Dr. Pedro Talavera-Ibarra recreated his experience on the Way of Saint James, and Dr. Susana Liso discussed the development of pop culture after the death of dictator Francisco Franco. The Music Department offered two concerts featuring the country’s music, while the Theatre Department staged “No Suicide in Springtime,” an acclaimed production by Alejandro Casona. So many departments and different faculty members joined together to contribute roughly half of the programming,” said Stebbins. International trips gave students a deeper appreciation of the country’s offerings. Over the summer, 14 students and several faculty members from Missouri Southern visited Spain, lived with Spanish families and soaked up the Iberian history, language and culture. Among the Spain Semester’s highlights were a performance by Flamenco Vivo Carlota Santana – the nation’s premiere Spanish and flamenco dance company – and a visit by Nellie Bennett, author of “Only in Spain: A Foot-Stomping, Firecracker of a Memoir About Food, Flamenco and Falling in Love.” The book was the common reader of students in the University Experience class during the fall semester. 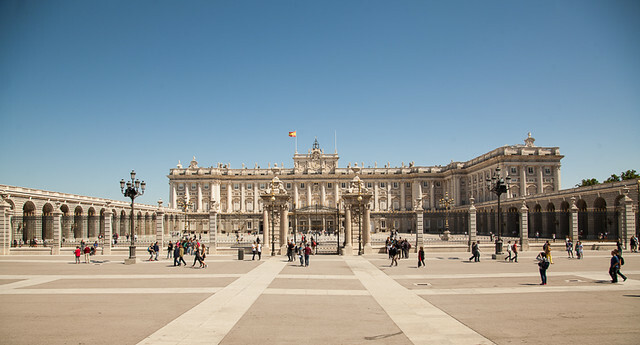 Attendance for Spain Semester activities went beyond expectations, said Stebbins.